This blue shaded friendship picture speaks about the value of friendship in one's life. You can't be without friends. Without friends, your life would be a dull boring thing. 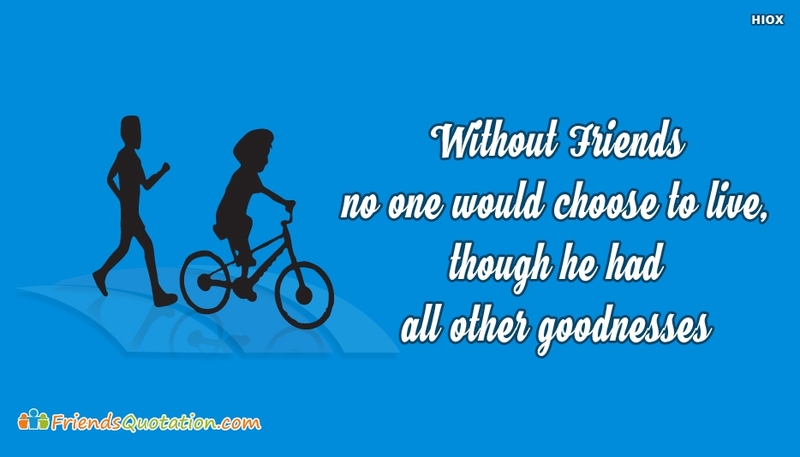 Share this "Without Friends No One Would Choose To Live, Though He Had All Other Goodnesses" with your dear friends and say to them that, when you are asked to select any one, either friendship or all goodnesses of life, then you would choose only friendship.